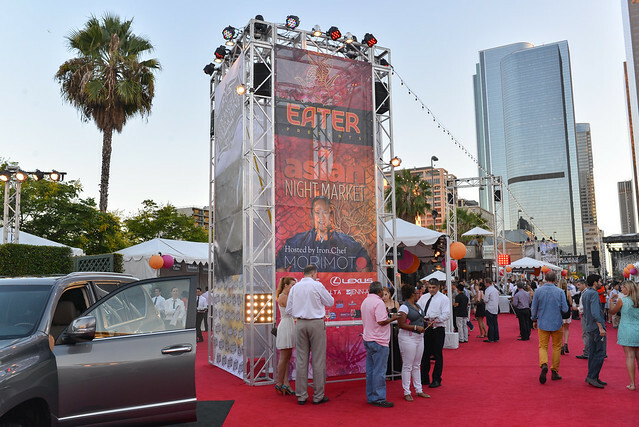 Friday night’s Asian Night Market was one of two LA Food & Wine tasting events this year to have a ‘theme’ (the other being Giada’s Festa Italiana). It had to be one of the more impressive chef lineups around for a night market, with 25 chefs from LA and around the country represented. 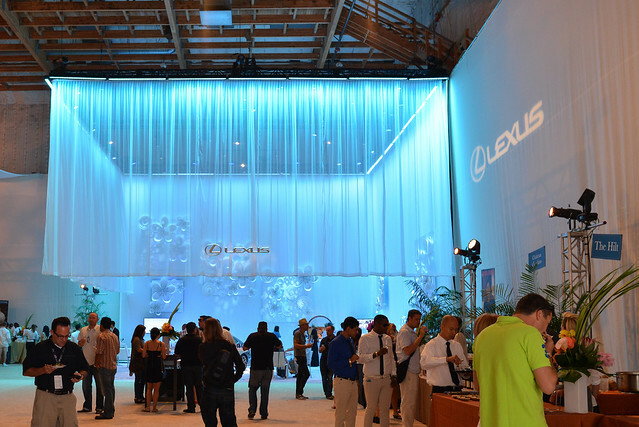 Some big names like Masaharu Morimoto and Roy Yamagauchi combined with some of LA’s favorites to create a modern interpretation of a night market. 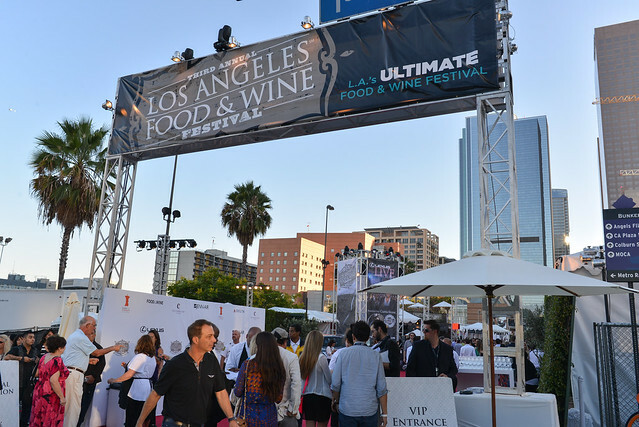 This was by far the most approachable tasting event price-wise at $125 ($175 VIP). As with all of these tasting events, it’s all-you-can-eat/drink. 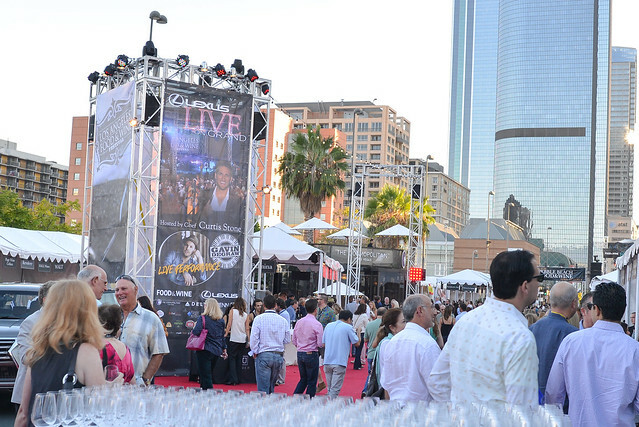 The venue was in the middle of downtown – Grand Street was shut down for the event in the shadow of the Walt Disney Concert Hall. 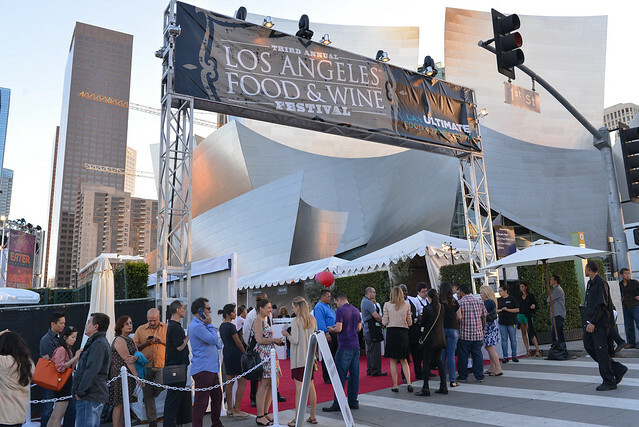 Live on Grand was one of the marquee tasting events of this past weekend’s LA Food & Wine Festival. Formerly called Live on the Plaza when the event was held at LA Live, it’s now moved to the heart of downtown – on Grand right outside the Walt Disney Concert Hall. In the shadow of downtown skyscrapers and the concert hall, it was an ideal location for a summer evening food & drink fest. 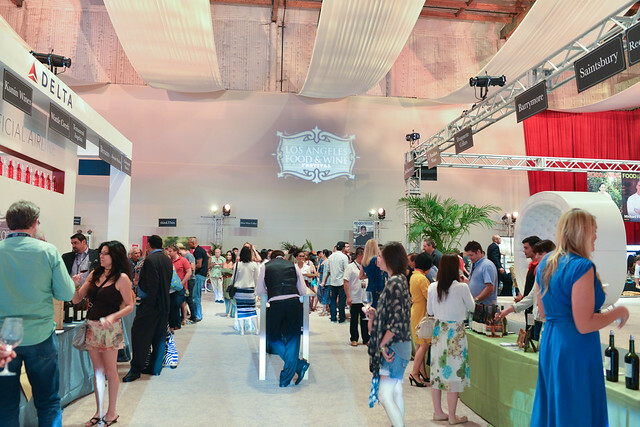 Similar to other LAFW tasting events, approximately 25 chefs/restaurants were on hand from around the country to serve up samples of their food in all-you-can-eat fashion. Dozens more wineries, breweries and a couple of mixologists were around to keep glasses full. Unique to this event, Gavin DeGraw provided live entertainment towards the end of the evening. General admission was a hefty $250 with VIP tickets (allowing earlier admission) running $350. 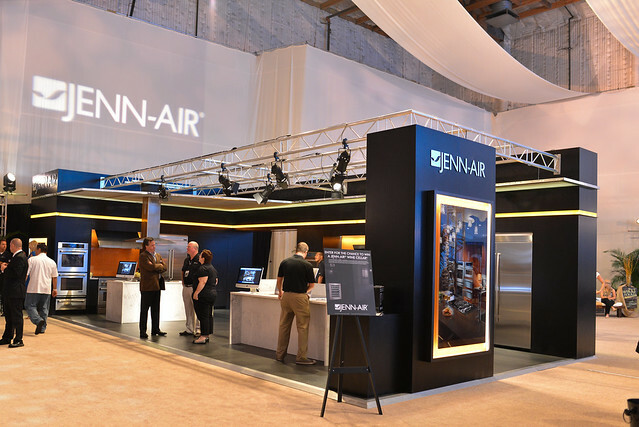 My tickets were compliments of luxury kitchen appliance maker Jenn-Air, one of the festival’s main sponsors. 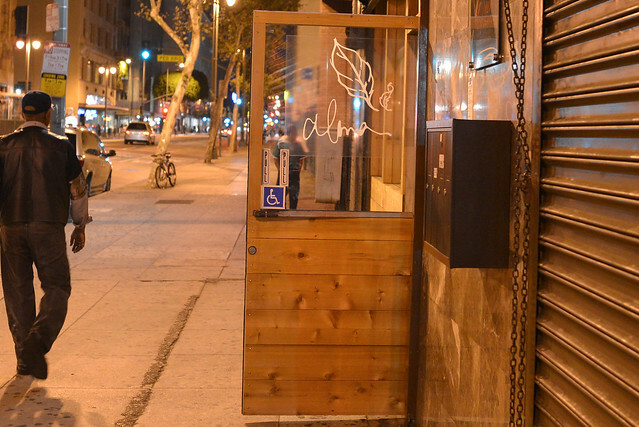 Ari Taymor opened up Alma in the middle of last year, after having brought his pop-up restaurant slowly east from Venice to Silverlake and finally opening permanently in downtown LA. Taymor has had a relatively brief cooking career (he’s only 27), having spent time in San Francisco’s Flour+Water and Bar Tartine, but has really exploded onto the scene in recent months. 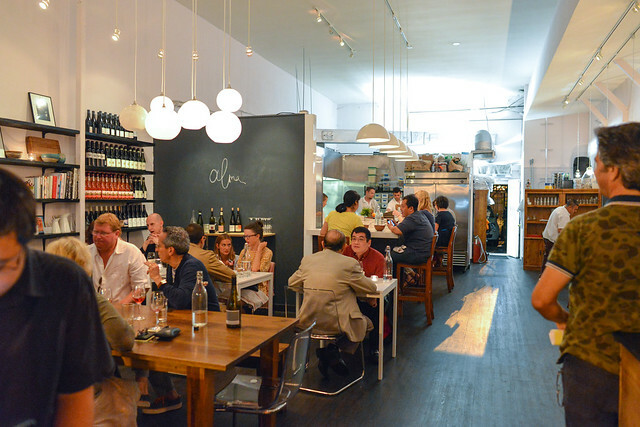 Last week, Alma was named the #1 best new restaurant in America by Bon Appetit, beating out even the vaunted Saison. 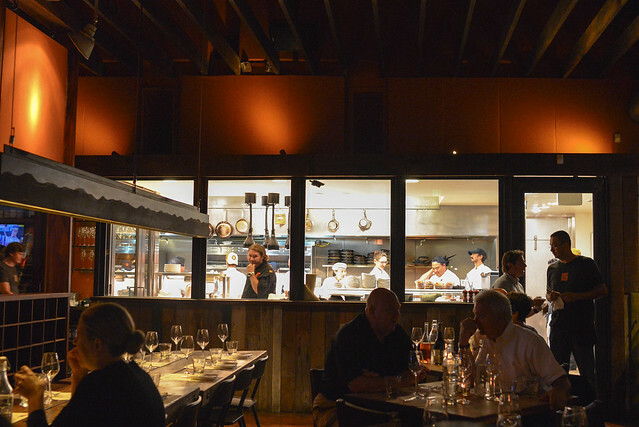 The restaurant has been a critical darling since opening (JGold/LA Times, Besha/LA Weekly), though it currently maintains a relatively pedestrian 3.5 star rating on Yelp. I dined here towards the end of last year and placed it in the ‘good but not great’ category, but figured it was time for a return. 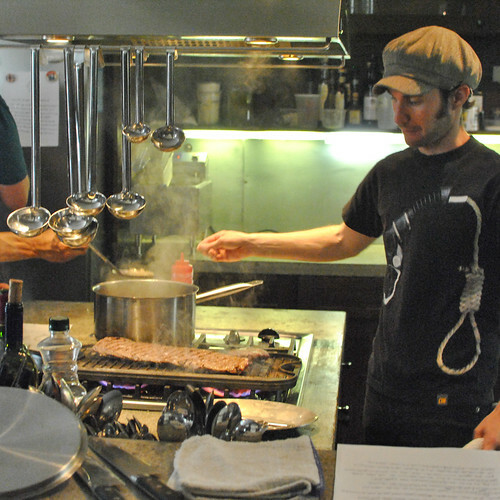 Chef Craig Thornton’s Wolvesmouth concept has continued to grow in popularity. It’s been written about time and time again (see this New Yorker write-up) and Thornton has even taken the show on the road, hosting dinners in NYC. 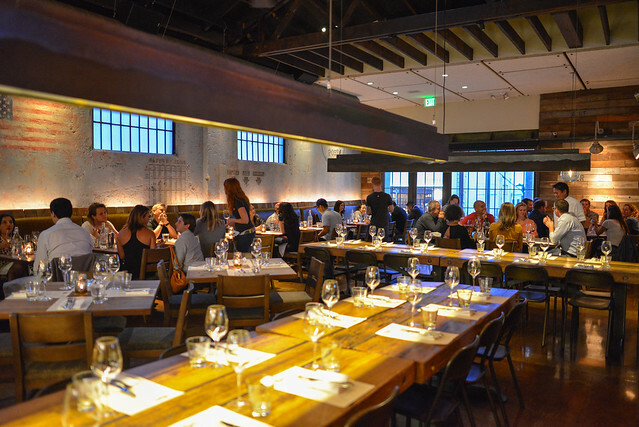 While Thornton and team have been working on opening up a full-time brick-and-mortar restaurant, they’re continuing to host private and public dinners in the LA area. It’s been a full year and a half since I dined at a Wolvesmouth dinner (though there was that collaboration with Miles Thompson of Allumette for Le Grand Fooding a few months back) and I was glad to be back. It was coincidentally the night before my birthday, so it was a great place/meal to celebrate the occasion. 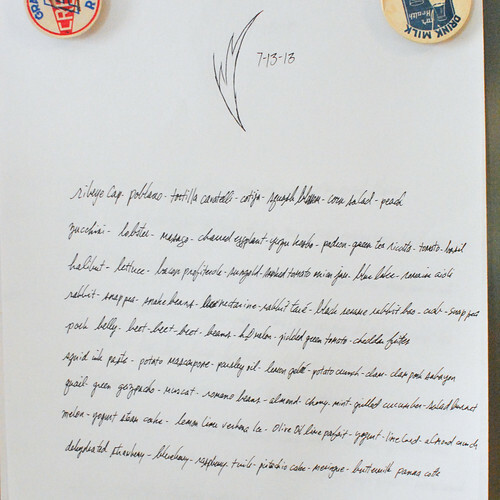 As usual, the evening’s menu is scrawled on a piece of paper on the refrigerator. This evening’s dinner would be nine courses. Unique to these underground dinners is the ability to see everything happen right then and there – nothing’s hidden, and interaction with the staff is commonplace. Manhattan Beach Post (M.B. 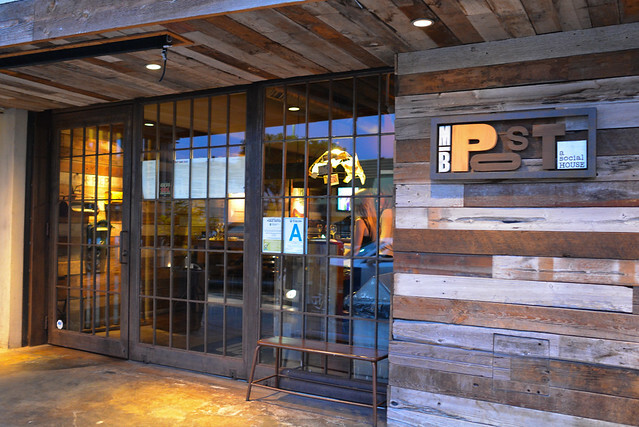 Post) has been a hot spot in the area since opening over two years ago (helping to spawn another restaurant, Fishing with Dynamite, earlier this year). Chef David LeFevre hosts a recurring guest chef series called “Can You Dig It?” that benefits partner charity Common Threads. For this iteration, he teamed up with chef Charles Phan of San Francisco’s The Slanted Door. Charles Phan is one of the old school notable Asian chefs in America; he’s best known for his flagship modern Vietnamese restaurant, The Slanted Door, which opened in the mid-1990s. 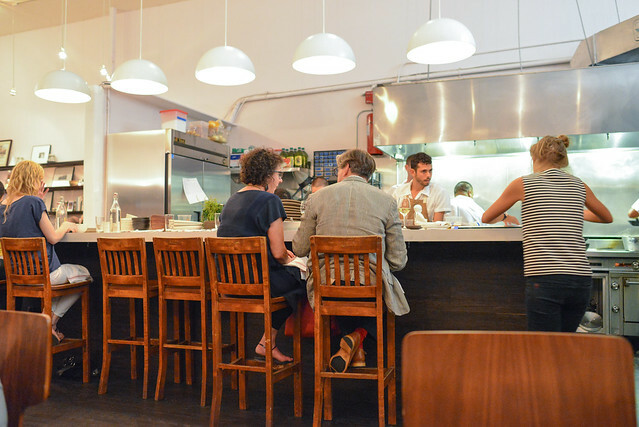 His mini-empire now spans 7 restaurants in the San Francisco area. I don’t think he can be found in The Slanted Door kitchen as much nowadays, so this was an opportune chance to sample some of his cooking straight from the source. Chef LeFevre’s food has a lot of Asian influences and I was curious to see if he could adapt his cuisine to seamlessly fit in with Phan’s. 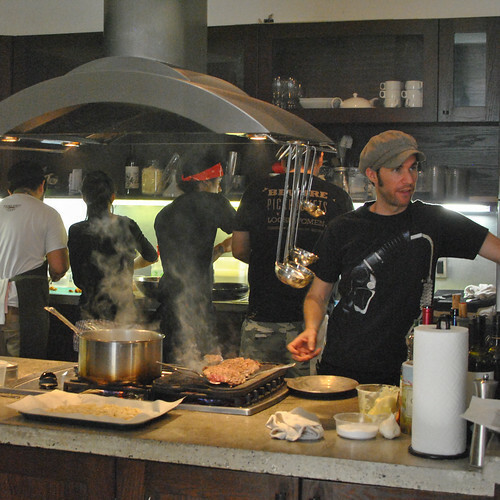 The menu for this evening was a collaborative effort, with 5 dishes being prepared by Phan and 3 by LeFevre for $75. Phan brought a couple of notable The Slanted Door plates as well as a few new ones. As far as I know, LeFevre’s dishes were making their first appearance here at M.B. Post.